Where was XRP on January 1st of 2017? First of all, what do we mean when we say "market capitalization" for a crypto-currency or digital asset like XRP? 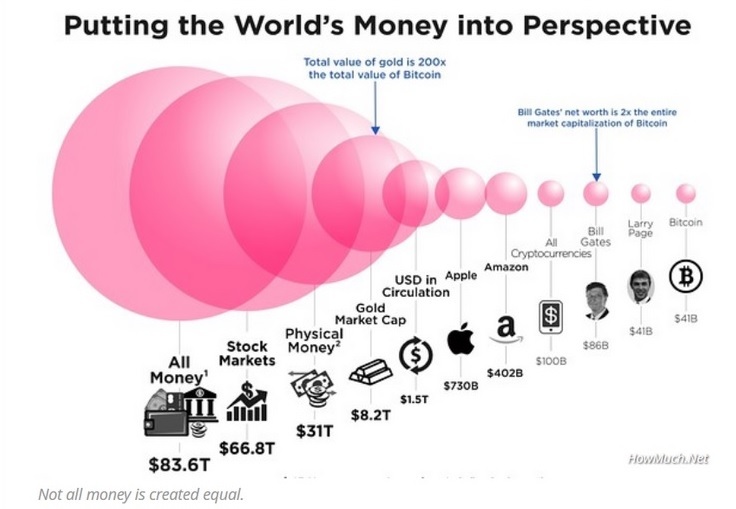 In crypto circles, market capitalization is measured much the same as it is for wall street stock symbols - the outstanding units multiplied by the market price. So Where is XRP Now? Where Will We Be On December 31st, 2017? Where is my true estimate of the value of XRP, Ethereum, and Bitcoin? To answer that question, you need to look at the current state of where market capitalization puts us in relative size with other assets and asset classes. This blog post is all about the eye candy, so I won't stop now. Here is a very telling graphic about just how "young" our market is in terms of innovation adoption. Where do you think we should be in this graphic, and now compare that to where we actually are at present day. My gut feeling is that while XRP will continue along with this "linear" model beneath it, there will be periods of parabolic price movements that will take us higher - possibly much higher. What would cause a parabolic shift in price? It could be the company's impending XRP supply lockup 6, it could be a pivotal moment at an industry workshop 7. It could be even more exchanges adding XRP to their list 8. It could be more than 70 banks and ForEx businesses using Ripple technology 9. Any number of these scenarios, or even just one, is enough to push XRP much higher than this linear estimate. In fact, it's well within the realm of possibility that a 1-2 dollar estimate of XRP by year-end might seem positively conservative in hindsight once we reach that point in time. Let’s set aside the question of “when” for a moment. Now the question is, how much are you comfortable buying before that happens?